It may only be March but it is not difficult to predict who will be collecting Heracles Almelo’s Player of the Season award. 25-year-old right-winger Brandley Kuwas is a shoe-in for the nomination thanks to a season of stellar performances on the right flank. Kuwas first gained the attention of many in his match-winning display in the opening gameweek of the Eredivisie season, grabbing an assist and a goal in a 2-1 comeback victory over AFC Ajax. It was during this game that the Curaçao international showcased his main attributes. As a left-footed right-winger it was of little surprise to see that both of Heracles’ goals came from the right-hand-side of the pitch. Cutting inside onto his favoured left on both occasions, Kuwas punished the Amsterdammers. However, unlike many players who simply up their game against top opposition, Kuwas has maintained the high level throughout the entire season to date. Four goals and eleven assists later and he is one of the Eredivisie’s leaders in terms of direct goal involvement. His haul of eleven assists is the league’s best, two more than nearest challengers Hakim Ziyech and David Neres, both on nine. Heading the assists rankings is not the only thing that Kuwas leads the Eredivisie in. For players to have played at least 1000 minutes, nobody matches the 25-year-old’s 4.2 dribbles per 90 minutes. This comes as little surprise to anybody who has seen Heracles play this season; Kuwas is an extremely strong dribbler, and his default position is to begin very wide on the right. Plenty of wingers are successful at dribbling down the line while some prefer to cut inside and complete most of their dribbles there. Kuwas on the other hand is adept at both. Going to the by-line is just as simple as dribbling across the face of goal on the edge of the box for the Curaçao winger. This makes him a real threat. His eleven assists have come against eleven different opponents, meanwhile without his creativity and contributions Heracles would find themselves a massive sixteen points worse off in the league. This would see them plummet from relative safety in 11th to rock-bottom in 18th position. To say that Brandley Kuwas’ influence is felt at Heracles would be a serious understatement. To register eleven league assists by March is a mean feat but a closer look at Kuwas’ key pass statistics indicates perhaps why this is the case. For players to have played a minimum of 1000 minutes, only Hakim Ziyech – the crown prince of the Eredivisie assist – has a better number of key passes per 90 minutes than Kuwas this season. Kuwas registers four key passes per 90, which equates to a key pass roughly every eight passes. This is a testament to his direct approach and playing style. Kuwas’ first instinct is to go forward and find forwards in a goalscoring position, and he seems to be getting better and better at it as the seasons go by. In years gone by Kuwas has been in the news for the occasional long-range effort that has found the back of the net. He is still an audacious player with an eye for the spectacular, particularly from free-kicks, however he does appear to be more disciplined in terms of his decision-making. When in the past he may have elected to shoot from distance, this season Kuwas opts to find a teammate and it has paid dividends for both the player and the club. The sheer number of assists he has registered is no fluke; he often gets into dangerous positions and has subsequently reaped the rewards from better choices when shooting and passing. The prospect of an Eredivisie departure is on the cards with his current contract expiring in June 2019, however prospective buyers must consider the fact that Kuwas – already 25 – may have reached his ceiling. Barring the 2-1 win over Ajax at the beginning of the season, Kuwas largely fails to impact games against the top opposition. Since the start of the 2016-17 campaign, against the big three of Ajax, Feyenoord and PSV, Kuwas has registered two assists and one goal over the course of nine matches. During that time, Heracles have managed just the one win as well. Nevertheless, Kuwas is an exciting player who is in excellent form. 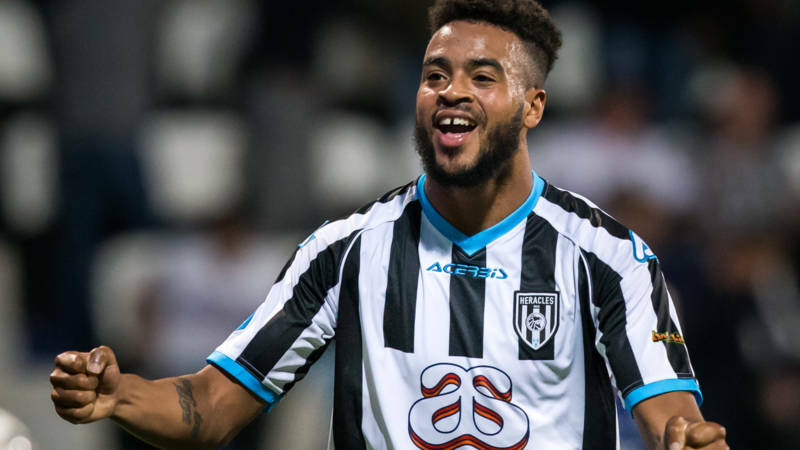 Capable of putting lesser teams to the sword on a consistent basis, he certainly continues to be an asset to Heracles Almelo. He most definitely is an Eredivisie player that an eye should be kept on in the near future.